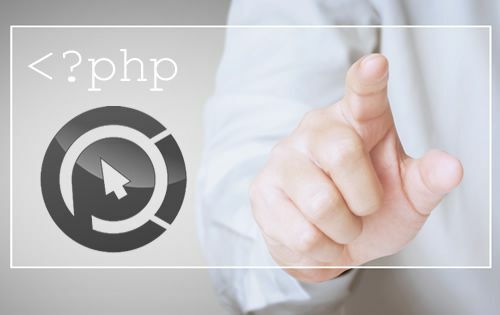 ClickPrecision_Connect.php can be included for regular tracking, from your conversion pages, or where sub-id's are used for revenue reporting for outbound clicks, such as affiliate links with delayed reporting. Ideally, these variables will be set dynamically with the product and category data from your own database. You can also set these manually. The following variables need to be set to properly communicate with the Click Precision SEM Platform. Step 2: Open your config file ClickPrecision_Config.php and modify the values. Step 3:Upload the 2 .php files to your server in the directory where the conversion takes place. If there are muliple directory locations, you will need to modify the "require" line to reflect the directory. Step 4: Place the example code below in your conversion page. $productID You will need to specify a product ID. This can be any number, but should remain consistent to the product. The platform will show useful data such as clicks on the link, which products did the best on what pages, etc. If you have fixed conversion actions, such as filling out a form, then you can use different IDs that you choose. I.E. 1 for contact form, 2 for joining a email list, etc If you use a database with lots of products or offer ID's, we highly recommend that you create this dynamically. This will keep everything automated and save you valuable time. $externalURL Any established affiliate portal will use sub-id tracking. All networks are free to use what they want, so depending on the affiliate network you are using, they will be different. Add the sub-id variable that you are using at https://clickprecision.com/Manage/Account.php?menu=trackingSetup and fill in the $externalURL value, such as subid as used in this example. It will become something like http://affiliatenetwork.com/?f=2590&aff=2324126&d=35t3&subid=341122purl2432ui241 that will become the variable $newTrackingURL that you can use to redirect. With this power, you can now track the traffic source and import revenue twice a day if your network is API enabled. For example, a Google Ads keyword, a referral from another site or organic traffic that triggered the sale or outbound click. $productName The name of the product or action. If you use a database with lots of product or offer names, we highly recommend that you create this dynamically. $productValue Total amount of the sale if not delayed reporting. With or without decimals. Should Local Small Businesses Buy Online Ads?